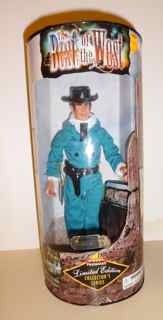 Here is the Best of the West Robert Conrad's James West doll from the hit TV series, The Wild, Wild West. Mint in factory sealed original display box. Measuring 9 inches, this highly detailed figure is fully poseable and comes with accessories. Excellent likeness.